HUMBLE ROOTS, HARD WORK, AND A TON OF HEART. In the more than three decades since, advances in design technology including the incorporation of photorealistic 3D elements into our patterns have enabled us to fine-tune and perfect the art of hunting concealment. Highly effective and innovative patterns like Mossy Oak® Break-Up Country®, Obsession®, Shadow Grass Blades®, Mountain Country® , Mossy Oak® Elements® Agua and the new Overwatch™ all utilize Mossy Oak’s industry-leading concealment technologies. Every company has its own story. Where it began. How it started. How it grew. Here at Mossy Oak, we are blessed that the story of our beginnings continues to be our story every day. What started Mossy Oak was a deep and abiding passion to connect with the outdoors. Over the past 30-plus years, that passion has grown into an obsession to make more and more connections with wild critters and wild places and to help other people live their best life outdoors. The Mossy Oak of today is so much broader than Mossy Oak of 1986, but the seed for what we are was planted back then and continues to grow every year. 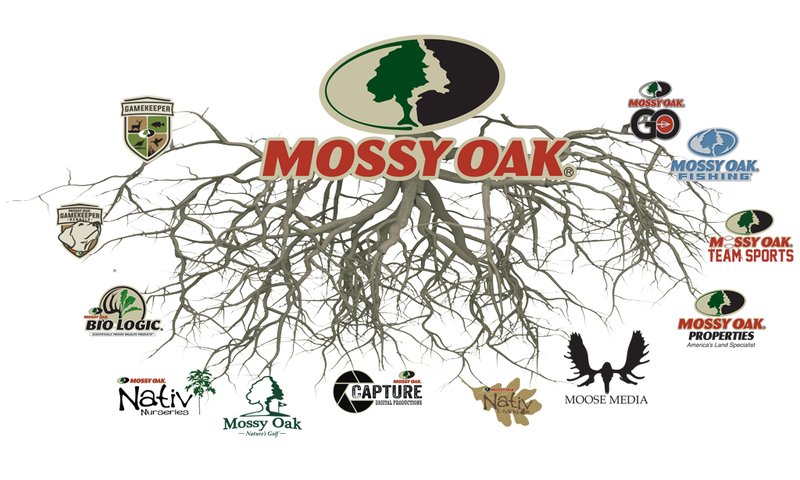 Today, the Mossy Oak enterprise extends across nearly all aspects of the outdoors lifestyle. Our goal being to help people connect with the outdoors in as many ways as we possibly can. To think of Mossy Oak as merely a camouflage brand is to miss the true identity of who we are. We are proud that our camo patterns continue to be voted America’s number one camouflage patterns, but they are merely representations of what the Mossy Oak brand means. Many things separate the Mossy Oak brand from other brands in the outdoors space, chief among those separations is our corporate-wide commitment to conservation and to organizations that are advocates for hunters. As the official camouflage partner of DU, NWTF, QDMA, NRA, and B.A.S.S., we donate millions in support of conservation initiatives and hunter advocacy in every state. And we will continue to support these organizations as long as our company exists. For us, caring for our resources and extending the opportunities for people to experience the outdoors is fundamental to who we are. Our brand resonates across a multitude of platforms all connected by the common thread of a true love for the outdoors lifestyle.